I have a confession to make. This little fact is my biggest accomplishment so far this year, but it’s also my biggest shame. What is it? I have finally read the Bible from cover to cover. I have to admit, crossing that last book off my list (the book of Malachi, if you were wondering) filled me with more joy than was probably strictly necessary. I mean, really, as an eight year “revert” to the faith (by revert, I mean that I was raised in a Catholic family who attended Mass every week, fell away from the faith, and then returned), I should have finished that task years ago, right? As a theology student turned aspiring religious sister turned Director of Religious Ed, I should have read the entire Bible like three times by now, right? It’s true- even as I celebrate this great accomplishment, I cannot shake the feeling of shame that it has taken me so long to do it. I can’t honestly tell you when I decided that I was going to read the Bible from front to back, but I can tell you this: it was a long time ago. I’m not proud to admit that this task took me so long, especially when my original game plan suggested that I should have been able to read the entire Bible in about five years. But let’s get this straight: reading the Bible from cover to cover isn’t easy. From the day that I decided to accomplish this feat, I knew that it was going to be a challenge, and to be honest, I wasn’t really prepared. When I began, my game plan was this: read one chapter a day. In case you were wondering, there are 1814 chapters in the Catholic Bible (I emphasize this because the Catholic Bible has 73 books, while Protestant Bibles have less. For more information on why this is, click here). As I said earlier, if you consistently read one chapter a day, you would read the entire Bible in just under five years. I didn’t actually know this when I began; in fact, I only calculated that number for the sake of this post, and I honestly feel better knowing that it only took me a few more years than I originally intended. Still slightly ashamed though. In reality, anyone who can say that they have read the entire Bible from beginning to end should be applauded, and anyone who is currently moving towards fulfilling this goal, regardless of how successful they have been so far, should be encouraged in their efforts. Reading the entire Bible is no cup of tea, trust me. It takes a great deal of perseverance and self-discipline. Throughout my eight-year-or-so journey, I was discouraged many times. Sometimes I was able to persevere, and other times, months would go by without me reading a single chapter. When I didn’t read a chapter, sometimes it was because I was just being lazy (no excuse there), but other times, it was simply because I was exhausted and discouraged. If I had had some guidance when I began my endeavor, maybe I would have finished reading the Bible in five years, like I had originally planned. Even if it still would have taken me longer than five years, it probably wouldn’t have taken me eight if I had read an article like this first. My first mistake was this: I originally figured that I would read the Bible from beginning to end. I’m just going to be honest with you: unless you have the perseverance of a saint or are just plain stubborn, if you try to read the books of the Bible in order, it’s pretty much a recipe for disaster. Not to be a Debbie-downer, but you probably won’t be able to do it. It’s nothing against you personally; it’s just that the Bible is not particularly set up for the average person to read like that. Most people can’t read the Bible from beginning to end in order. I’d be impressed if you made it through the Torah (the first five books of the Bible) without giving up. For me, I made it to Leviticus. I would venture to say that there were probably about six months between finishing the book of Leviticus and beginning the next book, which ended up being a New Testament book and not Numbers. After a six month hiatus, I decided to give my mission another shot, but I also decided to seriously change my game plan. Rather than reading the Bible from beginning to end, I decided to pick the books that I read at random. I kept a list of every book in the Bible, and every time I finished another, I’d cross it off and choose the next. It was completely random on my part, though I fully believe that my choices were divinely inspired. This method kept my journey interesting. I rarely chose more than one book into the future, opting instead to choose my next book only after finishing my last. With this new element in my game plan, I began to make serious headway, and after about seven more years and a few bumps in the road, I am proud to announce to the world that I have read the entire Bible. As I neared the completion of my journey, I decided to dedicate a blog post to tips and suggestions for any brave Christian who has decided to read the entire Bible. This advice has all come from my own mind, as the result of my own experience with this challenge. It should not be taken as doctrine, and there are probably plenty of holier men and women out there who can give you much better advice. However, for anyone who has stumbled across this page, here are just a few tips and observations that I have made through my own journey to read the Bible. Begin with a Gospel. This entire endeavor should be read in light of the resurrection of Jesus Christ, and as a result, the best place to begin is where it all came to fruition. I would suggest Mark, since it’s the shortest and will give you energy as you move on to longer books. If you don’t start with a Gospel and you’d rather start at the beginning, that’s fine too, but I would definitely suggest that once you’ve finished Genesis, then you should read one of the Gospels. Do some research before beginning a book, especially if it’s a historical book. This is especially useful as you are working through the Old Testament. Reading the Bible becomes a more enjoyable experience if you actually know what’s going on. 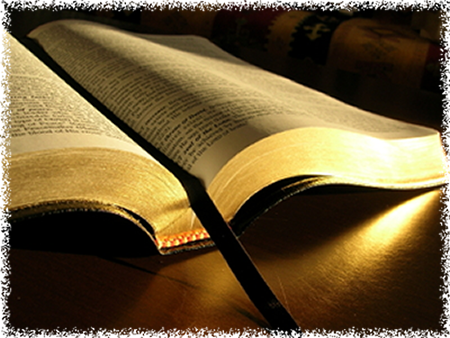 To get some historical context for the books of the Old Testament, check out this website. Many of these books, particularly those in the Old Testament, won’t make much sense without some context. I would also suggest becoming familiar with the time frame of the events that are documented in the Hebrew Scriptures. For your convenience, here is a list of all the books of the Bible in chronological order, as most theologians and historians believe them to have occurred. Take note that this is not the chronology of when they were written, but when they actually happened. Alternate between the Old and New Testaments, and between short and long books. I would suggest that you aim to read two books from the Old Testament for every one from the New. In the Catholic Bible, there are forty-six Old Testament books, and only 27 New Testament books (Once again, the number of Old Testament books is slightly lower in Protestant Bibles). Don’t read all of your favorite books at the beginning. I would suggest saving your favorites for when the going gets rough. When you finish a particularly long or rule-heavy book, throw in a favorite to give yourself a break from the more difficult reading. 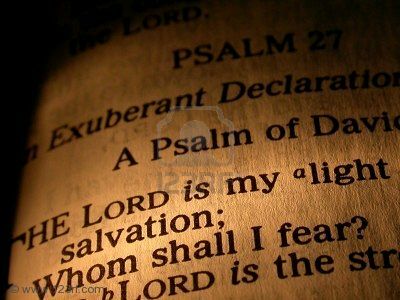 It’s always easier to read Leviticus or Numbers when you know that you have something awesome like Psalms or Song of Songs to follow. If you feel inspired to re-read a book rather than moving onto another one, follow where the Spirit leads. Part of the reason that it took me as long as it did to finish reading the Bible is because I must have read Song of Songs and the Gospel of John at least five times each. This might have lengthened the amount of time that I needed to finish reading the entire Bible, but it definitely made my journey considerably more enjoyable. It’s always a relief to go back to an old favorite after a more difficult stretch of reading. This is also a great way to really become familiar with the Scriptures. This rule can also apply within a book- if you feel particularly drawn to a chapter, re-read it as many times as you desire. Even if you spend an entire week on the same chapter, if that is where the Spirit leads you, it is for good reason. This is also a great way to begin to memorize passages of the Bible. There’s also a flip side to this last suggestion. Just as you will definitely find some chapters and books that you will want to read again rather than moving on to a new one, there will also be some days where you will want to read more than one chapter. You might even be ambitious and want to read an entire book. I definitely would not discourage you- I know that personally there were several books that I read in one day, and there were several days where I turned a page, realized that I only had one left, and just had to finish it. The chance to cross out another book on your list can be a huge motivation. When the Spirit leads you to read another chapter or two, do it. When sheer determination leads you to read another chapter or two, do it. Just one word of caution: don’t burn yourself out. Most people are not called to read the Bible for hours on end, so while there might be the occasional day where you feel driven to spend 30-45 minutes reading a book of the Bible, this will be a regular thing for most people. And finally, don’t give up. Even when you have to acknowledge that you have seriously neglected your goal of reading the entire Bible for several months, or when you don’t think you can go on after having read Ecclesiastes, don’t give up. Just keep looking towards the future- to the next book you’ll be able to read, and finally to the moment when you can cross off the last book on your list and bask in the knowledge that you’ve done it. You’ve read the entire Bible. So there you have it- just a few tips for how to increase your chances of successfully reading the Bible from beginning to end. If you’ve never thought about reading the entire Bible, think about it. If you’ve thought about it but always assumed that you wouldn’t be able to do it, try it. And if you’ve tried it, keep at it because you will never regret it. Even if it takes you eight years to finish, it’ll still be worth it. It’s rare to find a person who has read the entire Bible from cover to cover, especially among Catholics. Unfortunately, it’s rare to find a Catholic who has read most of the Bible, never mind all of it. We need to clean up our act. We need to really know the Scriptures. Jesus Christ is present in the Eucharist, yes, but before He was there, He was present in the Hebrew Scriptures. Jesus Christ is the Word-made-flesh, but before He became man, He was the Word. We are members of a Church that is rooted in Scripture and Tradition, but we cannot rely on Tradition to cover up our lack of knowledge of Scripture. As St. John Chrysostom said during one of his homilies, “This is the cause of all evils- not knowing the Scriptures. 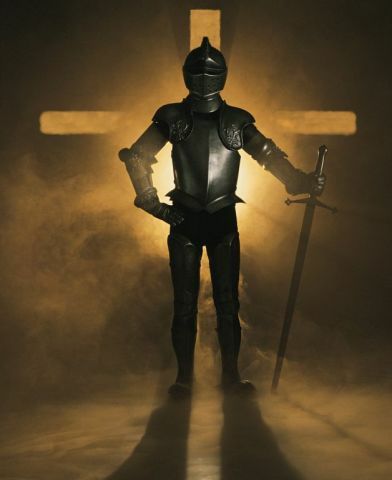 We go into battle without arms, and how are we to come off safe?” He likens a lack of knowledge of Scripture to going into battle without a weapon. 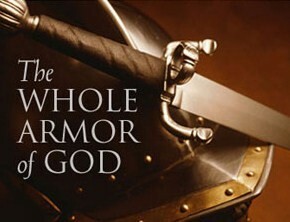 The Bible itself speaks of our preparations for this spiritual battle that we all fight- we must arm ourselves with “the sword of the Spirit, which is the word of God” (Ephesians 6:17). Are you armed? Are you ready for the fight? Or are you going into this war over your soul without a sword? Arm yourself, Christian, for the battle for the salvation of your soul is at hand!